As Johnathan Hickman’s run on Avengers continues to push forward, I must admit that I have no idea where it is going, but that I am going to enjoy the trip. I will also admit to be more than a little lost trying to read Avengers and New Avengers even in their biweekly form. While I have considerable faith in Hickman’s ability to bring together distant and disparate threads and weave them into a cohesive and grand conclusion, I am starting to wonder when that might start happening. Although they are good, I’ve found it more and more difficult to follow these Avengers stories as time has gone on. Thanks to the film, Avengers is Marvel’s flagship title and they are not making it easy for new people to jump on board. There is a near civil war going on between various Avengers teams, including the S.H.I.E.L.D. 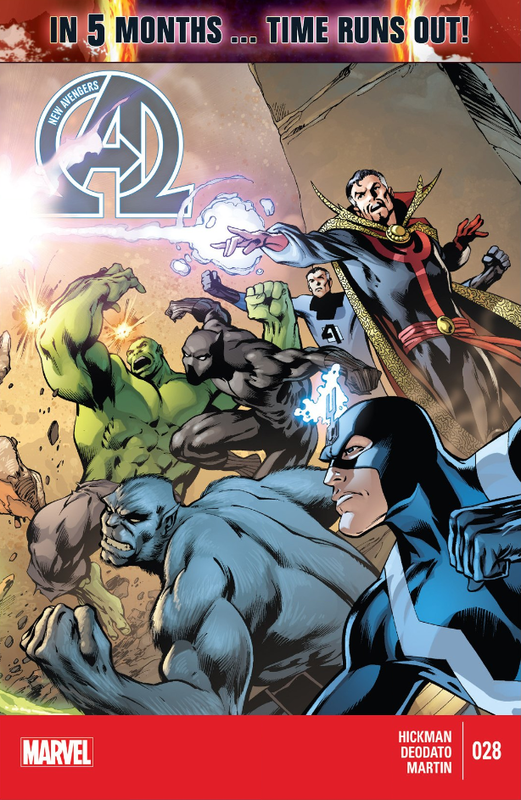 Avengers, New Avengers, Mighty Avengers and the Illuminati and it all ties in to the fact that parallel universes are colliding, and Earth is the intersection point (of course it is…). All of that isn’t even including the stuff that is going on with the Cabal and the Multiversal Avengers. Keeping track gets a bit tricky. Now, ignoring all that insanity for a little while and just focusing on New Avengers #28, it turns out to be a pretty good issue. Hickman provides readers with an issue that moves his story along better than the last several have. While it doesn’t make sense in the larger picture just yet, this issue is probably the clearest, most straight forward in several months, at least since the countdown has started. One of the things I like most about this issue is the partial narration provided by Reed Richards. Reed is dictating “lessons” for his daughter Valeria on the proper use of game theory, while he himself is using the theory in his fight against S.H.I.E.L.D. and Steve Rogers. It provides a great look into Reed’s mind, which Hickman is excels at doing and that has been greatly lacking since Hickman’s departure from Fantastic Four. Hickman also makes great use of the world he has already created by bringing the sociopathic Bruce Banner from a parallel universe back as a weapon to fight the Marvel 616* Hulk. Not only does the audience get to see Hulks fighting, but it helps instill confidence that Hickman is still in complete control of the story. If he were not, I doubt very much he could so easily make such good use of a rather minor character like the parallel universe Banner. 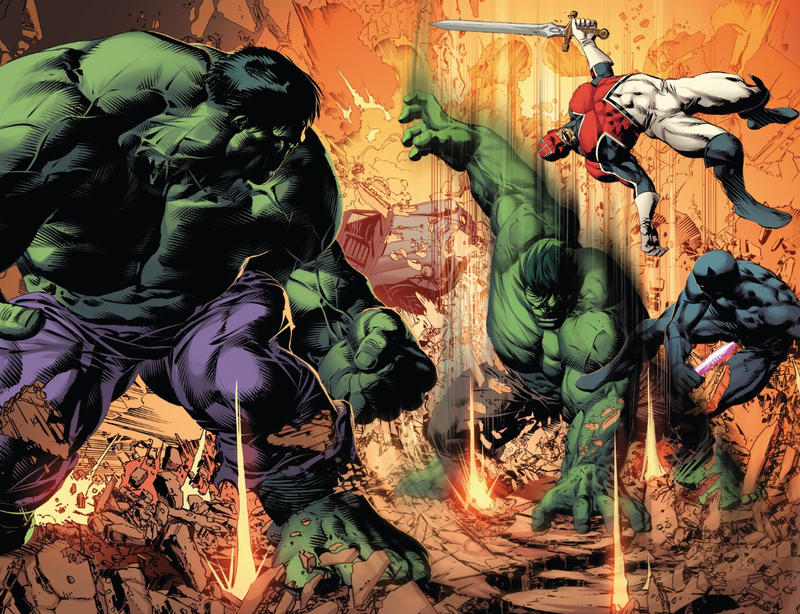 While it’s tough to find artists that are capable of matching the grand scope of Hickman’s story, Mike Deodato and Mike Perkins are making excellent strides. The art is consistently strong throughout the book, which is often not the case when multiple artists are involved. I really enjoyed the arrival of the second Hulk to the fight and watching them pound on each other a bit. I’m also pleased they made an effort to minimize the differences between the two Hulks. For all intents and purposes this is the exact same person, just from a parallel universe, so they should look pretty much the same. Looking back through the book, I surprised to see how little pure action there is in the first half of the book, as compared to characters talking. This is impressive because I had thought of this issues as being much more action filled, and it isn’t. It’s no easy task making talking heads anything but overly dull. 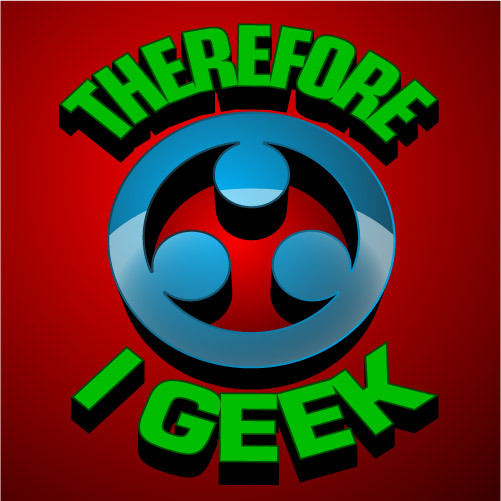 In which, Tracy and Andrew talk about the WHOLE year in geekdom. Yes. The whole year. Also, we are joined by Kurt Klein, one of our new staff members. Tracy reveals her favorite numbers, and Andrew (for the first time!) avoids telling an offensive joke. 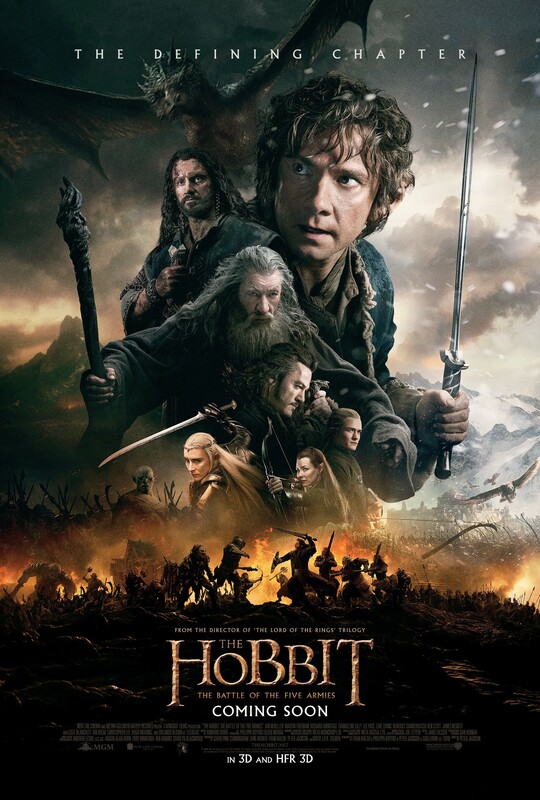 It’s been a while since I’ve seen a movie that is more appropriately named than The Hobbit: The Battle of Five Armies. The third installment of The Hobbit film franchise certainly beats out its most recent predecessor and is at least equal to the first film in many respects. While still suffering from some of the flaws that hurt The Hobbit: The Desolation of Smaug, The Battle of Five Armies manages to bring about a satisfactory ending to the trilogy. 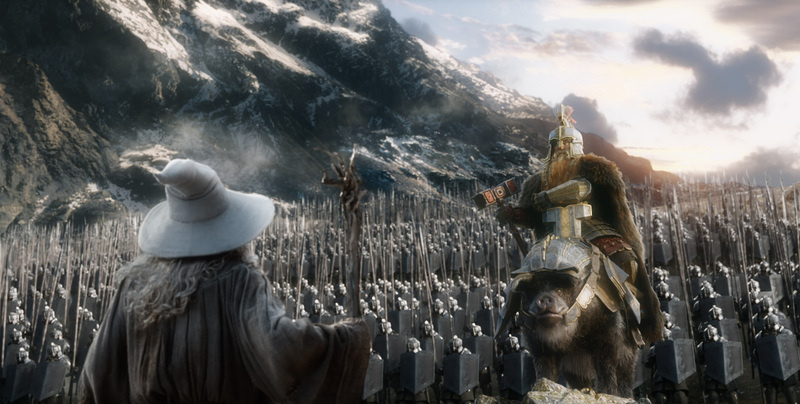 The Battle of Five Armies picks up almost immediately where Desolation of Smaug leaves off. I was fairly relieved that we didn’t have to bother sitting through a history lesson at the beginning of the movie and instead jumped right into the action. I do not have an issue with the historical stuff that has been added to the movie, but it would have otherwise made the beginning rather slow. Instead the movie was off to a running start before jumping into the added material. In general I have to say the death of Smaug was well done. As with the rest of the movie, certain creative liberties were taken, especially when it comes to dialogue, but I can live with that. The exchange between Smaug and Bard just before Bard kills Smaug is fairly standard villain monologue-ing and, while not particularly interesting, it didn’t detract from the movie. I would like to ask why the windlass wasn’t used. We saw one in Desolation of Smaug, but what the hell happened to it? If they didn’t intend to use it later in the movie, why did they show it in the first place? One of the things that most helped The Battle of Five Armies is the fact that in many places J.R.R. Tolkien’s The Hobbit is rather light on details. Most of the battle itself takes place while Bilbo is knocked unconscious. This allows for the movie to show all kinds of things happening in the battle without running the risk of not following canon, which is what tends to anger fans most. With this kind of freedom, I have to admit, it was one impressive battle. In fact, I would have to estimate that the battle took up an hour of the movie, at least. Pretty much everything I had wanted and expected was present. There were armies of men, dwarves, elves and orcs all slugging it out on the open plains in front of the mountain and on the streets of Dale. Each of the armies seemed to take turns holding the upper hand and on more than one occasion I found myself wondering how the heroes would wind up turning the tide. Of course, since I’ve read the book, the end result was never in doubt for me, which is slightly disappointing, though I have always been one who is more interested in how a story gets where it is going than where it is going in the first place. 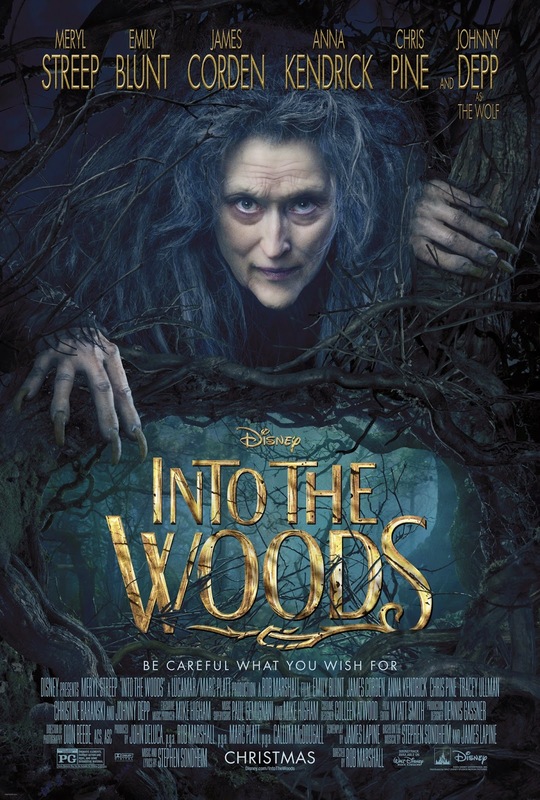 For the most part, the acting was on par with the previous movies. Martin Freeman does a great job as Bilbo Baggins. Freeman gives the audience some really great moments from the heart, and his Bilbo is always trying to do the right thing, even when it is extremely difficult. It is nearly impossible to find fault with Ian McKellen’s portrayal of Gandalf; the man was simply born to play that role. He is thoroughly capable of being both serious and humorous and of moving between the two rapidly as the situation requires. My favorite new addition was that of Billy Connolly as Dain, Thorin’s cousin and leader of the dwarf army. He was both tough and sassy, especially when speaking to the elven king. I had very high hopes for the dwarf army and Connolly basically filled them all. As for the rest of the cast, many of the other actors gave solid performances, though none were particularly stand out. As far as complaints go, I really only had a couple. The first of those is the carryover from Desolation of Smaug. All of the extra crap that was added to the second movie to make it its own film had to be resolved at the end of Battle of Five Armies. Once again it felt forced and didn’t really fit with the rest of the story. Thankfully, it was done pretty quickly, so the audience didn’t have to suffer through more than twenty minutes of it. These scenes also gave rise to what was probably the worst performance in the film: that of Lee Pace as Thranduil, the elven king. Pace’s character was consistently wooden and detached and brought down the quality of any scene he was in. There was also a vacant look in his eyes that was more than a little unsettling. My final complaint was the completely abandonment of the laws of physics during one particular portion of the battle. While I am more than willing to set aside some things for the sake of a good story, this got to the point of being completely unbelievable. At one point Legolas was running up stones, like they were stairs, as they were falling down the face of a frozen waterfall. Elf or not, this just simply doesn’t work.